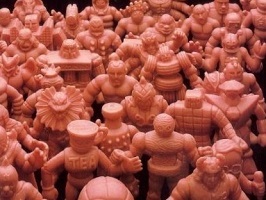 The M.U.S.C.L.E. Year in Review ran like a well-oiled machine for many years. Then I dropped the ball. Totally my fault alone. I tried to get it going again last year. I didn’t make it any easier on myself by disappearing for four, almost five, months. 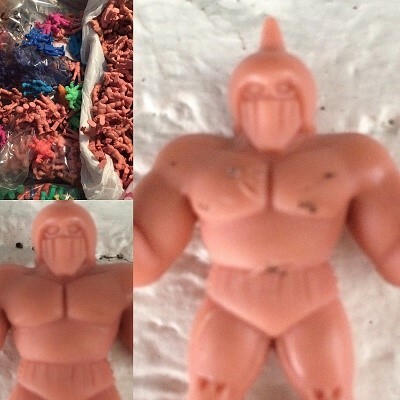 What were some of the important M.U.S.C.L.E. events of 2016? Below are a few thought starters. Please post your suggestions and, if possible, a link to the event in the Comments section below. 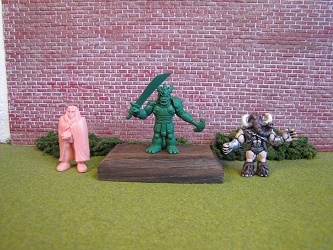 and Ramenman with Dragon rediscovered! The Bubble mystery is finally (and very quickly) solved. One minute M.U.S.C.L.E. reviews are born and then immediately die. I still want to steal that idea. Thanks in advance to everyone for their suggestions! This entry was posted on Thursday, November 17th, 2016 and is filed under UofM News. You can follow any responses to this entry through RSS 2.0. You can skip to the end and leave a response. Pinging is currently not allowed. Just read the AOTW year. Totally agree with your assessment. Not to come off as cynical, but I see people like that in our church community. 1. Help me pay for my son’s two week trip to Duke while I sip on a $6 cup of coffee from Starbucks. 2. Help me pay for my family member’s funeral while I smoke cigarettes. 3. Help me pay for medical surgeries while I post pictures on Facebook from a vacation. 4. Help me pay for a lawyer so I can keep custody of my kid, or help me send the kid to a medical training class while I smoke cigarettes. Obviously the guy with the Purple Claw didn’t need the money, just like the people I mentioned above didn’t need the money.